This Thanksgiving we want to turn our attention to small business owners. With Black Friday around the corner and Small Business Saturday close behind, some are wondering if small business owners are getting caught up in the frenzy, or taking time to be present with family and friends. MSPs are facing “cavalier” attitudes from customers when it comes to the cloud, channel players warn. The lack of understanding of the cloud and its limitations is giving rise to a cloud-solves-all mindset that is posing a potential threat for the MSP community, which finds itself having to manage customers’ unrealistic demands, according to some. There’s nothing worse than installing software on your PC and then discovering that it also installed a nefarious payload of adware. Java updates have long included the Ask.com toolbar which insidiously takes over your search experience and is very difficult to remove. Each time you update Java, it tries to reinstall itself! GeekTek IT Services’ CEO Eric Schlissel spoke with David Lazarus of the Los Angeles Times at length about this horrible situation and provided useful tips to small business owners on how to avoid this software and remove it once it takes root. A growing trend, “Shadow IT” is a term used to describe IT systems and solutions built and/or used inside organizations without the approval of the IT department. This could include anything from employees emailing spreadsheets back and forth to entire departments licensing third-party, cloud solutions behind IT’s back. While the usage varies, one thing is certain: Shadow IT is growing. A webinar discussing BYOD policies in the workplace, latest trends, and data security and protection risks followed by an interactive Q&A. Eric Schlissel, CEO of GeekTek, presents the latest on BYOD, MDM, and more. IT experts share advice on when a small businesses should pay for a hosted service and when a small business should opt for a free service. Real life IT horror stories that resulted in instant terminations. How do you find the right IT consultant for your business and specific technology needs? IT executives share their tips and advice. We also suggest five questions you should ask all prospective candidates. Microsoft’s looming end-of-support deadline for Windows XP isn’t motivating some organizations to upgrade. But they face looming trouble spots. Many businesses say they still have good reasons to run Windows XP — and ignore Microsoft’s ongoing warnings to ditch the OS that’s on life support. As audiovisual services increasingly move onto company LANs and over TCP/IP networks, some MSPs have found an open door to new offerings. Bringing on new managed services clients shouldn’t entail just a handshake and a thank-you note. 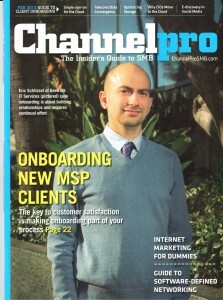 Smart IT pros make onboarding part of their process. 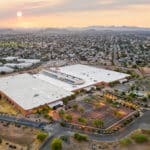 GeekTek will soon expand its footprint into Phoenix, AZ through its recent selection of Cyberverse as its regional colocation partner. Building on its established relationship with Cyberverse, GeekTek signed a multiyear contract that augments the current colocation agreement between the firms for Los Angeles with new visibility and capability in the Southwest. Cyberverse’s data center infrastructure efficiently handles both its clients’ standard and dynamic workloads with flexible rack densities of up to 50 kW, or 1000 watts per square foot, enabling customers to deploy computational applications without latency or disruption. By selecting Cyberverse, GeekTek also meets the mandates of its environmental program through Cyberverse’s intelligent infrastructure solutions. Cyberverse has engineered its systems to continuously improve economic and environmental performance, guaranteeing a Power Usage Effectiveness (PUE) of 1.15. This results in Cyberverse’s clients using up to 85 percent less water and up to 80 percent less power than workloads deployed in traditional facilities, reducing the environmental impact of their facilities and resulting in a lower total cost of ownership. GeekTek IT Services, a Los Angeles-based Managed IT/Cyber security firm which manages, secures and scales the information infrastructure of rapidly growing businesses, has just launched its new location in Denver, CO. GeekTek President/CEO Eric Schlissel has selected Art Ockey, who has constructed and implemented effective work processes as a manager for Optimum Networking, inhouseIT, The Network Pro and many other managed service providers, to lead the charge. GeekTek enters into the Denver Metro area at a propitious time. 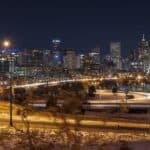 The city is experiencing job growth .6 percentage points higher than the US average, according to a recent study by the Metro Denver Economic Development Corporation. And its cannabis industry has recently posted gross sales of $1.5 billion for 2017, a new record for the state’s well-known program. According to Schlissel, these metrics closely track the upward momentum GeekTek itself is both experiencing and cultivating with its recent expansion activity.